I am going to be honest here, I am a cookie fanatic and these cookies are AMAZING!! 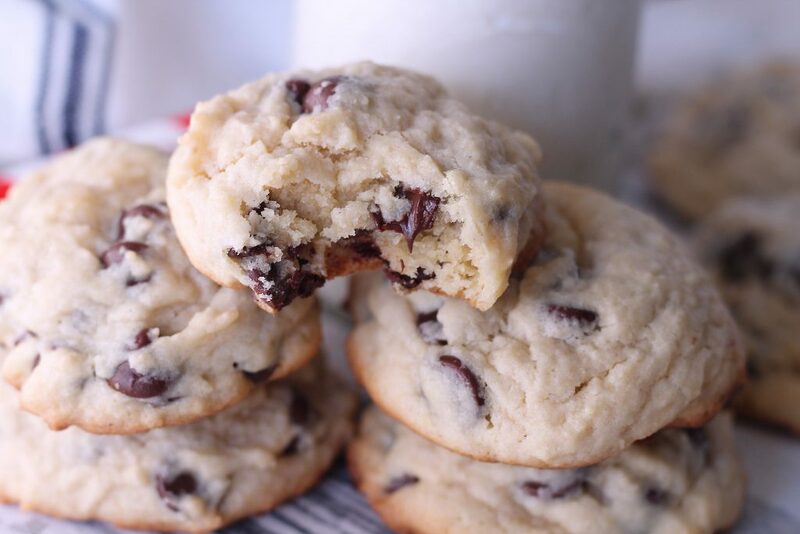 A warm fluffy chocolate chip cookie with a cold glass of milk is pure heaven for this girl. I am getting over a little illness and needed some comfort food…AKA chocolate chip cookies. One of our local super markets has these cookies in their bakery called muffin top cookies that are basically a fluffy cake like cookie. I have been on a quest to figure out how to make something similar . I have searched the internet on how to make cookies fluffier and came up with several ideas. One of the more interesting things I found was adding cornstarch to the flour mixture. I read it would soften the protein in the flour and make a more tender cookie. This little trick plus extra baking powder seems to have worked beautifully. I took my basic chocolate chip cookie recipe and altered it a bit and the results were fluffy, soft and super yummy. Who doesn’t have memories of eating cookie dough straight out of the bowl as a kid and just being in cookie dough heaven?? This Chocolate Chip Peanut Butter Cookie Dough Ball is just like eating the real stuff but you don’t have to worry about the uncooked eggs. WINNING!! I am so in love with the scrumptious little ball of happiness. 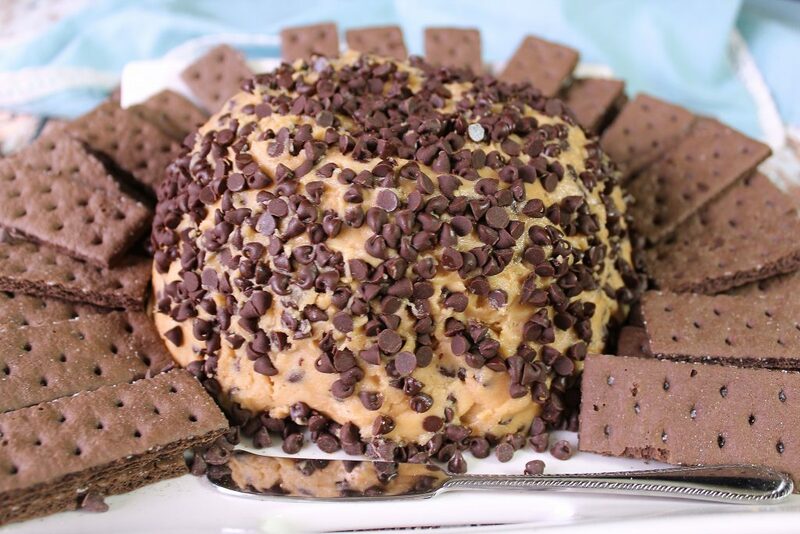 Just having proclaimed my love of cookie dough this combines another love of mine..chocolate and peanut butter. This is really what fat girls dream of, LOL. This is a fun dessert or snack to set out for kids and adults to enjoy. Trust me, everyone will love this one.